Preparation Methods & Dosage : Mustard can be applied in external plasters and poultices to clear chest congestion and ease achy joints. Mustard seed foot baths are a wonderful way to treat stubborn colds, sudden chills, and poor circulation. 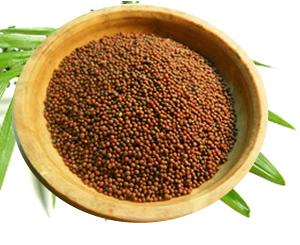 And of course, mustard seed can be made into mustard, the condiment we are so familiar with. Mustard Side Effects: Overuse may blister the skin. Do not use it if your thyroid function is low or if taking thyroxine. Flowers: Bright yellow, fading pale, 1\4 to 1\2 in. across, 4-parted, in elongated racemes; quickly followed by narrow, upright 4-sided pods about 1\2 in. long appressed against the stem. Stem: Erect, 2 to 7 ft. tall, branching. Leaves: Variously lobed and divided, finely toothed, the terminal lobe larger than the 2 to 4 side ones.. Preferred Habitat: Roadsides, fields, neglected gardens. Distribution: Common throughout our area; naturalized from Europe and Asia. Now, there are two species which furnish the most powerfully pungent condiment known to commerce; but the tiny dark brown seeds of the Black Mustard are sharper than the serpent's tooth, whereas the pale brown seeds of the White Mustard, often mixed with them, are far more mild. 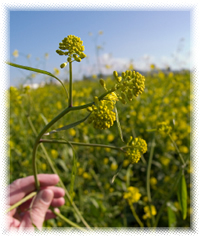 The latter (Brassica alba) is a similar, but more hairy, plant, with slightly larger yellow flowers. It is an excellent sauce for such whose blood wants clarifying, and for weak stomachs, being an herb of Mars, but naught for choleric people, though as good for such as are aged, or troubled with cold diseases. 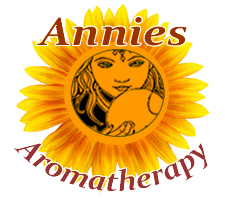 Aries claims something to do with it, therefore it strengthens the heart, and resists poison. Let such whose stomachs are so weak they cannot digest their meat, or appetite it, take of Mustard-seed a dram, Cinnamon as much, and having beaten them to powder, and half as much Mastich in powder, and with gum Arabic dissolved in rose-water, make it up into troches, of which they may take one of about half a dram weight an hour or two before meals; let old men and women make much of this medicine, and they will either give me thanks, or shew manifest ingratitude. Mustard seed hath the virtue of heat, discussing, ratifying, and drawing out splinters of bones, and other things of the flesh. 108. University of Illinois Extension. "Watch You Garden Grow : Mustard". :A member of the cruciferous vegetable family, mustard contains large amounts of beta carotene and vitamin C that are important antioxidants. Although scientists do not fully understand how, these vegetables seem to have cancer-preventive properties. Mustard greens are also a source of calcium that can be important to lactose intolerant individuals. Mustard greens also contain a significant amount of iron.